Home Fitness Working Out? You Really Need a Routine. . . When you’re trying to get into shape you can’t just stick to one form of exercise and expect it to fix all of your problems. Cardio, strength training and flexibility are all equally important in the journey to make a better you. Of course, it can get a bit confusing when you’re trying to figure out how many times a week you should be doing each form of exercise. This list is a breakdown that varies depending on your specific goals, but in general, four to five days a week will do the trick if you’re aiming to improve your fitness and stay in shape. If you’re going for the full five days per week, three days should focus on strength training, two days should focus on cardio, and two should be active rest (this is where yoga comes into play). If you only want to work out four days a week, think about your goals: If you want to add muscle tone, cut a cardio day. If you want to improve endurance, skip a strength day. Or, switch it each week. Here’s how (and when, and why) to crush it at each one. Why: The more muscle you have the higher your metabolic rate, and the more calories you’ll burn when you’re not working out. It also strengthens joints and bones. And don’t worry, it won’t make you bulky! How: You want to include upper and lower body moves, and you want to have a balance between pushing and pulling movements. So, for example, a pushing movement would be a chest press, and a pulling movement would be a row. You should do different moves in each of the three strength sessions, but repeat them every week. I would stay with a program for four to six weeks and progressively increase the weight, and if you feel like it’s not doing the job anymore switch it up! Muscle confusion with different workouts can be a great benefit! Don’t feel like you have to go hard on the machines: strength training can also incorporate bodyweight moves (like squats), dumbbells, kettlebells, etc. How Long: A strength-training session should last 45 to 60 minutes, plus foam rolling and at least a five-minute warm-up beforehand. Bonus Tip: Strength training is also where you can improve other elements of your fitness. Flexibility work can be incorporated in the warm-up and during the exercises to make sure you are completing the full range of the movement. You can work on coordination during the warm-up with nonlinear movements and patterns like crawling. You can also improve balance (and engage your core!) by doing single-leg exercises. 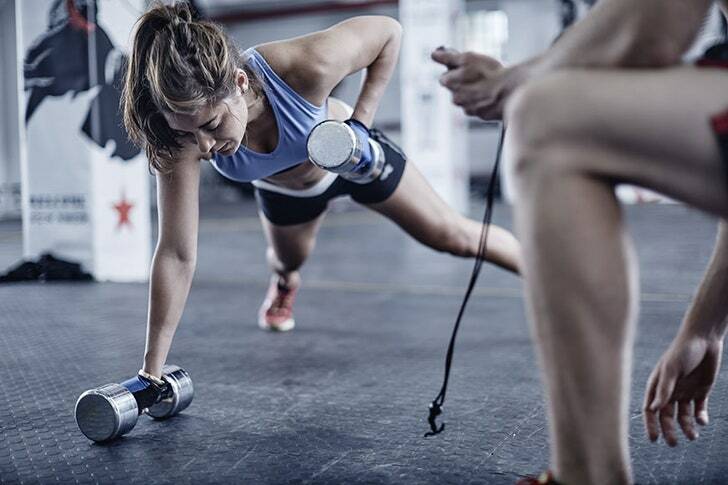 Why: As important as it is to strength train, cardio has its place in a balanced workout routine too. 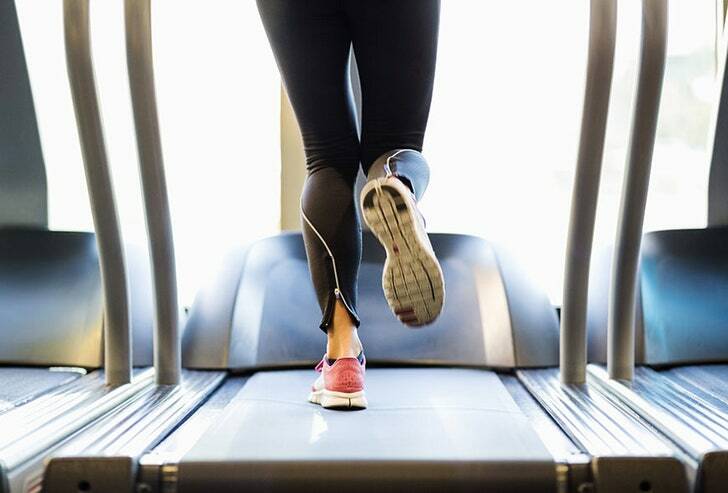 Doing cardio keeps your circulatory system working optimally helping you to recover faster, and it keeps your endurance up. It also increases your VO2 max, which helps your body utilize oxygen. How: You’ve got a ton of options: spinning, an outdoor jog, the good old elliptical machine, the list goes on. Whether something is cardiovascular depends on where your heart rate is at and how long you’re doing it for. Target heart rates are different for everyone, but a good baseline to aim for during your cardio routines is between 120 and 150 beats per minute for 45 to 60 minutes. Bonus Tip: Another option is interval training, which helps you burn more calories in the same time as steady state. Doing 20 seconds of hard work followed by 40 seconds of active recovery for 45 to 60 minutes is optimal. The best part? You can do this with pretty much anything—indoor row machine, bike, treadmill, functional movements, you name it. Why: Taking a break lets your body recover and rebuild so you can get back to your workouts refreshed and ready to rock it. Of course, this isn’t a free pass to sit on the couch all day (well, not every time at least). A rest day should actually be considered active recovery, meaning you don’t have to hit the gym or break a serious sweat, but you should do something. It’s not just about the physical recovery—it’s also the mental, so doing something like yoga will not only help your muscles recover quicker it will also help your mind! How: Whether you hit up a restorative yoga class or just take a walk, active recovery shouldn’t require a ton of effort like a workout day, but it should get you moving. If you want results, you need to have a routine that you can stick with. I’ve seen so many people try to fit workouts in inconsistently, and it ends up being a waste of time. So, no matter what you do and when you do it, the goal should be to rock it, rest, repeat.